By a wide margin, the peanut is the most popular shelled food product in America. According to the Peanut Institute, which is a real thing, peanuts account for more than two-thirds of all nut consumption. Before you get pedantic, or consult with your favorite plant guide, most people use the word “nut” simply for convenience. Peanuts are not, in fact, true nuts, but legumes. One difference is that most common popular nuts — almonds, pecans, pistachios, and their ilk — grow on and are harvested from trees. Legumes tend to grow just above, or, like the peanut, just under the ground. Regardless of the precise nomenclature, peanuts are extremely useful and nutritious nuts. In the United States, on Sept. 13 of each year, we take the opportunity to honor this excellent seed with National Peanut Day. It’s a fair question to ask. However you celebrate National Peanut Day, it’s perfectly reasonable to want to include your feline friends in the fun. After all, we see plenty of liver-, chicken-, and lamb-flavored cat comestibles, but I have to admit, peanuts aren’t the first thing I associate with cats. Since peanuts aren’t widely heralded on the cat food or cat treat scene, taking the time to figure out their potential impact on cats shows good sense. Cat food and treats tend to be high in protein, which is an essential component in a cat’s diet. For all the time they spend sleeping, during their waking hours, cats rely on protein for energy. Peanuts contain the highest amount of protein by weight in all of the nut kingdom. So far, so good. However, peanuts have a correspondingly high amount of fat in them. Despite the fact that peanuts contain a healthy kind of fat, to wit, monounsaturated fat, the cat digestive system is not built to break down or process large quantities of fat. While they also eat grass occasionally, cats are not adept at digesting plant matter either. These are both strikes against cats and peanut consumption, even though no part of the peanut is poisonous to cats. Should you elect to give your cat a peanut on National Peanut Day, I would make the following serving suggestions. 1) Small portions: Since peanuts are an unusual food for cats, try one or two to start, preferably diced or chopped for ease of chewing. 2) Raw: Along with fats and plants, cats are not equipped to deal with salt or other additives, including sugar, and should absolutely avoid peanuts bathed in chocolate. 3) Unshelled: The tough outer husk is particularly dangerous to a cat’s digestive tract, and a stray bit of a peanut shell fragment may do even greater harm on the way out. We take great amusement and entertainment from videos and photos of dogs eating peanut butter. Interestingly, while researching the question of whether cats can have peanuts, I found very little equivalent footage or pictures of cats eating peanut butter. On the whole, cat owners understand that cats develop fairly regular eating habits, and tend not to be as daring with their palates as dogs. Unless you physically offer something like peanut butter to a cat, she probably won’t explore the taste sensation on her own. As with peanuts, if you must make the attempt, offer your cat peanut butter that is sodium-free and with as little sugar content as possible. Are cats allergic to peanuts? Peanuts should only ever be an occasional treat for cats, but as with any food, the risk of your cat having a peanut allergy is certainly present. If you cat has peanuts for the first time and experiences vomiting or diarrhea, it’s likely because of her inability to digest them. Any proper food allergy takes time and repeated exposure to develop. 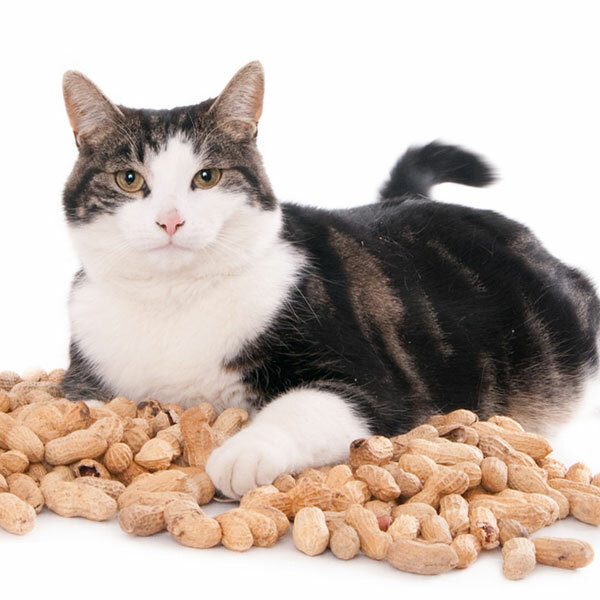 If your cat has had peanuts before and begins to have associated reactions, such as swelling, itching, or sneezing, then you may have discovered a peanut allergy. 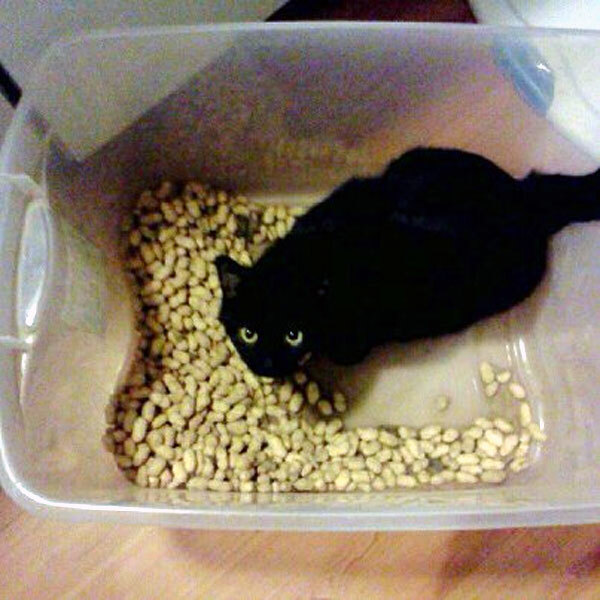 Can cats eat peanuts? Technically, yes. Can cats eat peanut butter? Again, yes, in theory. What about an alternative approach? We notice that, when shaken, a dry, raw, unsalted peanut makes a pleasing rattle. With proper supervision, so that your cat doesn’t gnaw on or ingest the potentially harmful shell, peanuts might make interesting all-natural cat toys. 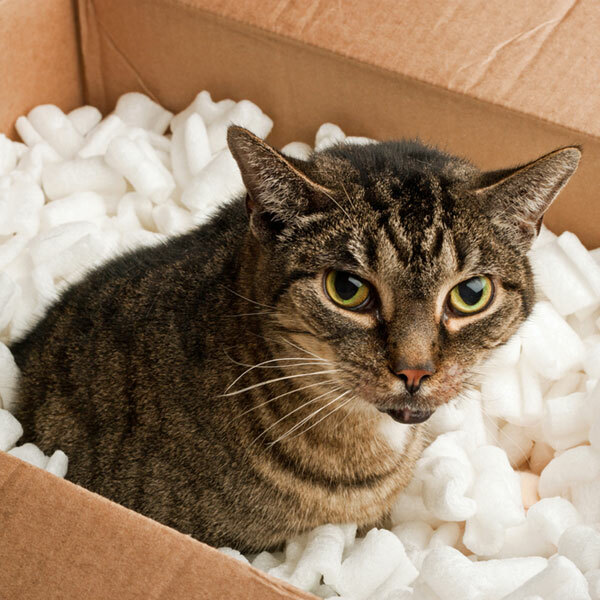 Cats amuse themselves with all manner of unlikely things in the house, from electrical cords to your visiting friend’s pant leg, so why not peanuts? 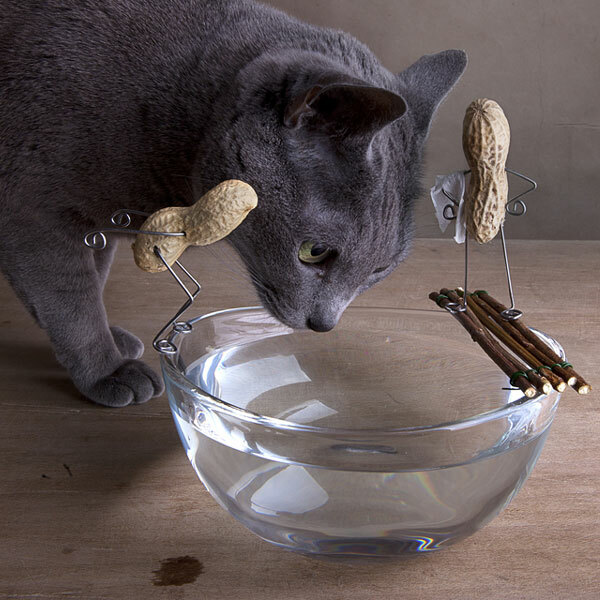 Peanuts as toys may enchant your cat. Provided you are able to maintain line of sight with the peanut while your cat is hard at work, batting and chasing it around the living room, the rigid shell and rattling sound of the seeds skipping across the floor and rebounding off walls could keep you and your cat entertained for hours on end. That’s probably the most salutary applications of peanuts with regard to cats. Does your cat eat peanuts? These are all broad guidelines, and conclusions based on research. My own cat has never expressed an interest in peanuts, and, to be honest, I’ve never asked her opinion on these legumes. What about your cats? Do your cats enjoy the occasional peanut? Have you seen any interesting videos online of cats attempting to eat peanut butter? 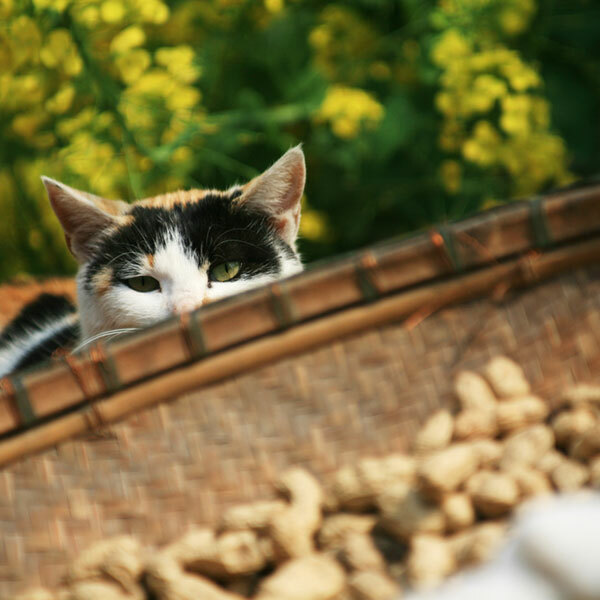 Is your cat allergic to peanuts? Share your experiences in the comments!